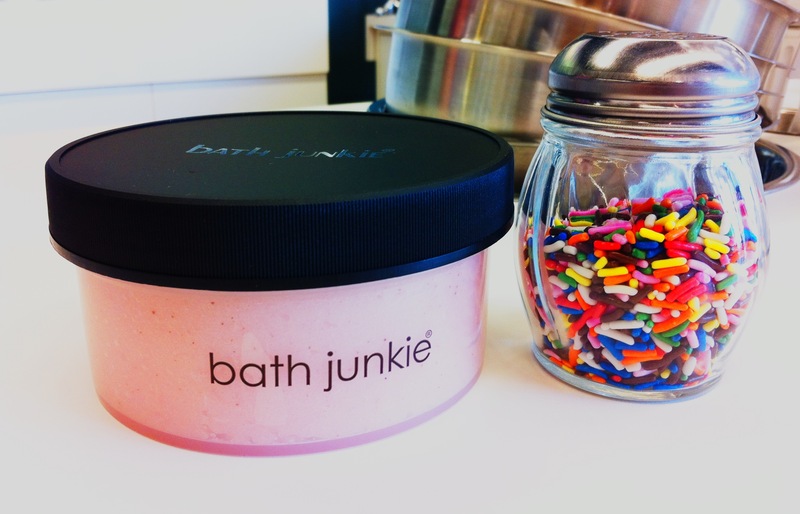 I love visiting Bath Junkie at Carmel City! It’s so much fun creating, from hundreds of different oils, a particular sent through different combinations that suits you the best. My favorite combination right now is Cotton Blossom mixed with Feng Shui. It’s a light but fresh scent that is perfect for everyday use. Today we will look at how I created the “Madison” Pink Bath Scrub. Bath Junkie: 741 Hanover Place, Carmel.